Atrial Fibrillation (AF) is the most commonly diagnosed heart arrhythmia in America.1,2 Most causes are of cardiovascular origin and include hypertension, coronary artery disease, and cardiac valve disorders; however, the list of non-cardiac causes, such as obstructive sleep apnea, chronic obstructive pulmonary disease (COPD) and electrolyte imbalances, appears to be increasing.2 Most recently, gastroesophageal reflux disease (GERD) has emerged as a significant non-cardiac contributor to AF.3,4,5 Equally, AF and its subsequent treatment may also play a role in the development of GERD, further strengthening suspicions of a bi-directional phenomenon.6,7 Additionally, a large body of research has been conducted investigating the potential gastric-cardiac connection with respect to GERD and AF. Despite this, the topic remains rather elusive in both conventional and alternative healthcare discussions. Thus, the aim of this paper is to review these conditions and shed light on their connection, discuss what mechanisms might be involved, and to evaluate effectiveness and suitability of the current medical treatments. We will also discuss how the naturopathic doctor can play a vital role in identifying and treating patients affected with these conditions using non-pharmacologic means. It is postulated that reflux symptoms leading to esophageal inflammation may disturb neighboring vagus nerve fibers, which then causes a cardiac reflex. This can in turn upset the heart rhythm, leading to episodes of AF.13 The heart receives input from both sympathetic and parasympathetic (vagal) signals, and this balance is crucial for maintaining normal conductivity. The following studies reveal that this balance is altered in patients with reflux symptoms and with AF. In many cases, lowering esophageal acid exposure via proton-pump inhibitors (PPIs) results in the resolution of AF symptoms.14,15 So, let’s examine this relationship a little closer. A 2014 systematic review revealed a prevalence of AF ranging from 0.62% to 14% in those patients with GERD as compared to those without GERD.3 The authors also found that patients experiencing more severe GERD symptoms had higher rates of AF. Smaller studies, such as those conducted by Bunch et al,16 have shown no association between GERD and AF risk, although patients with a higher frequency of reflux symptoms reportedly had a slightly elevated risk of AF. Bunch et al also concluded that patients with esophagitis were at a significantly higher risk of developing AF (RR 1.94),16 supporting the local inflammatory hypothesis. Hwang et al7 and Kubota et6 al have both reported a significantly increased risk of developing GERD in patients with newly diagnosed AF. Those experiencing an increased severity of arrhythmia, which progressed from paroxysmal AF to permanent AF, reported higher reflux scores.6 This supports a potential bi-directional relationship. 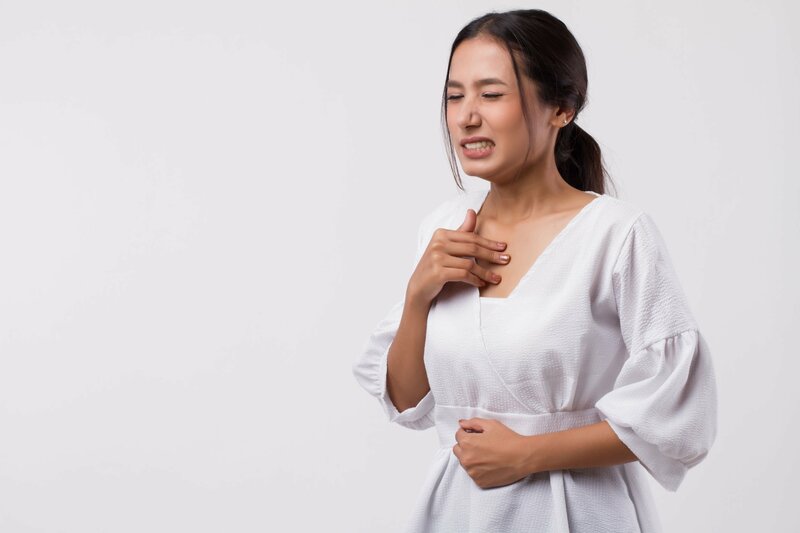 To summarize, the research thus far has revealed a consistent upward trend for the prevalence of AF in patients with GERD and suggests that this association increases with a worsening of reflux symptoms and even more so in the presence of esophagitis. Conversely, AF appears to increase the risk of developing GERD and this risk is further increased with worsening AF. 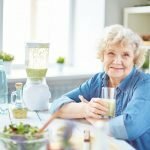 Does Suppressing Acid Suppress AF? 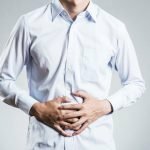 Two important studies have used unique approaches for evaluating the effects of GERD in AF and the subsequent effects of PPI therapy. In the second study, 24-hour esophageal pH monitoring and simultaneous ambulatory ECG (Holter) monitoring were used to assess 3 cases of GERD and atrial arrhythmias.15 Reflux episodes were strongly correlated with episodes of AF in these patients, which resolved with acid-suppressive therapy. These studies, although small, provide the first real-time evidence regarding reflux events and atrial arrhythmias and their symptomatic resolution through PPI therapy. While treatment of AF with PPIs in patients who have significant reflux symptoms has been shown to be effective at reducing AF events,14,15 these studies were of short duration and had small sample populations. Furthermore, the use of PPIs has been demonstrated to negatively impact nutrient and mineral absorption, including B12, calcium, vitamin D, and magnesium17; some studies suggest that low magnesium status could potentiate moderate-to-severe arrhythmias.18 Aside from patients with erosive esophagitis or Barrett’s esophagus, patients who are using PPIs to control reflux symptoms and potential arrhythmias should be treated for a short duration, and medications should be discontinued once symptoms have resolved. Based on mechanisms discussed thus far, naturopathic doctors and other clinicians should start by first identifying and addressing the underlying factors that might be contributing to GERD and AF. As discussed previously, these could include obesity, OSA, inflammation, and smoking. Gastric motility, vagus nerve, and LES function may be improved by encouraging stress reduction and deep breathing exercises prior to and following mealtime.21 No studies to date have explored the potential benefits of adopting mindful eating habits such as appetite awareness and chewing food thoroughly; however, this seems like a reasonable approach in the patient with AF and reflux symptoms. 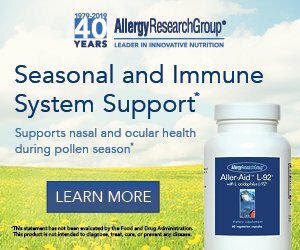 If esophageal inflammation is predominant, then herbal medicines with anti-inflammatory, demulcent, and mucosal healing properties, such as Glycyrrhiza, Filipendula, Althea, and Ulmus, could be helpful.22 If LES function is compromised, or gastric emptying is delayed, clinicians may want to consider bitter and prokinetic herbs such as Angelica, Zingiber, Gentiana, and Coleus.22 As nicotine is a strong LES relaxant, smoking cessation should be strongly encouraged. Structurally similar to PPIs, melatonin has been investigated for its potential benefits in the treatment of GERD. Studies have been promising thus far, suggesting that melatonin may be as effective as PPIs for controlling symptoms of GERD.23 Melatonin might thus be an attractive, cost-effective option for patients who decline or do not respond to initial PPI therapy. Lastly, acupuncture represents a promising strategy to treat the patient who presents with both AF and reflux symptoms. In fact, a recent meta-analysis concluded that acupuncture was at least as effective as drug therapy for treating arrhythmias and that a further benefit was observed when acupuncture was combined with drug therapy as compared with drug therapy alone.24 The most commonly used acupuncture points reported in this study were Pericardium 6 (PC6), Heart 7 (HT7) and Urinary Bladder 15 (UB15). Acupuncture represents an ideal individualized treatment, as it can target both reflux symptoms25 and the heart rhythm disturbances seen in these patients. Although still controversial, it appears that GERD and AF impact one another. While the prevalence of patients suffering from both GERD and AF ultimately remains low, there appears to be a significant clinical correlation between the two. The strength of this relationship increases when esophageal damage is present or when reflux symptoms increase, and is dependent on the type and severity of arrhythmia. Being aware of this clinical correlation may present clinicians with an opportunity to substantially improve patients’ quality of life and potentially prevent lifelong consequences of AF and side-effects of long-term drug use. Much can be gained by utilizing diet and lifestyle interventions such as healthy weight management, giving patients tools to manage stress, and fostering mindful eating behaviors. Mitchell LB. Atrial Fibrillation (AF). Last updated September 2017. Merck Manual Professional Version. Available at: http://www.merckmanuals.com/professional/cardiovascular-disorders/arrhythmias-and-conduction-disorders/atrial-fibrillation-af. Accessed October 31, 2017. Gutierrez C, Blanchard DG. Diagnosis and Treatment of Atrial Fibrillation. Am Fam Physician.2016;94(6):442-452. Roman C, Bruley des Varannes S, Muresan L, et al. Atrial fibrillation in patients with gastroesophageal reflux disease: a comprehensive review. World J Gastroenterol. 2014;20(28):9592-9599. Huang CC, Chan WL, Luo JC, et al. Gastroesophageal reflux disease and atrial fibrillation: a nationwide population-based study. PLoS 2012;7(10):e47575. Kunz JS, Hemann B, Edwin Atwood J, et al. Is there a link between gastroesophageal reflux disease and atrial fibrillation? Clinical Cardiol.2009;32(10):584-587. Kubota S, Nakaji G, Shimazu H, et al. Further assessment of atrial fibrillation as a risk factor for gastroesophageal reflux disease: a multicenter questionnaire survey. Intern Med.2013;52(21):2401-2407. Hwang JJ, Lee DH, Yoon H, et al. Is Atrial Fibrillation a Risk Factor for Gastroesophageal Reflux Disease Occurrence? Medicine (Baltimore).2015;94(43):e1921. Bhatt HV, Fischer GW. Atrial Fibrillation: Pathophysiology and Therapeutic Options. J Cardiothorac Vasc Anesth.2015;29(5):1333-1340. Mikami DJ, Murayama KM. Physiology and pathogenesis of gastroesophageal reflux disease. Surg Clin North Am.2015;95(3):515-525. Heidelbaugh JJ, Nostrant TT, Kim C, Van Harrison R. Management of gastroesophageal reflux disease. Am Fam Physician.2003;68(7):1311-1324. Cury RC, Abbara S, Schmidt S, et al. Relationship of the esophagus and aorta to the left atrium and pulmonary veins: implications for catheter ablation of atrial fibrillation. Heart Rhythm.2005;2(12):1317-1323. Martinek M, Hassanein S, Bencsik G, et al. Acute development of gastroesophageal reflux after radiofrequency catheter ablation of atrial fibrillation. Heart Rhythm.2009;6(10):1457-1462. Velagapudi P, Turagam MK, Leal MA, Kocheril AG. Atrial fibrillation and acid reflux disease. Clin Cardiol.2012;35(3):180-186. Cuomo R, De Giorgi F, Adinolfi L, et al. Oesophageal acid exposure and altered neurocardiac function in patients with GERD and idiopathic cardiac dysrhythmias. Aliment Pharmacol Ther. 2006;24(2):361-370. Gerson LB, Friday K, Triadafilopoulos G. Potential relationship between gastroesophageal reflux disease and atrial arrhythmias. J Clin Gastroenterol.2006;40(9):828-832. Bunch TJ, Packer DL, Jahangir A, et al. Long-term risk of atrial fibrillation with symptomatic gastroesophageal reflux disease and esophagitis. Am J Cardiol.2008;102(9):1207-1211. Ito T, Jensen RT. Association of long-term proton pump inhibitor therapy with bone fractures and effects on absorption of calcium, vitamin B12, iron, and magnesium. Curr Gastroenterol Rep.2010;12(6):448-457.
dos Santos LM, Guerra RA, Lazaretti-Castro M, et al. An approach to the diagnosis and management of a case presenting with recurrent hypomagnesemia secondary to the chronic use of a proton pump inhibitor. Magnes Res.2015;28(4):136-145. Singh M, Lee J, Gupta N, et al. Weight loss can lead to resolution of gastroesophageal reflux disease symptoms: a prospective intervention trial. Obesity (Silver Spring).2013;21(2):284-290. Pastori D, Carnevale R, Bartimoccia S, et al. Does Mediterranean diet reduce cardiovascular events and oxidative stress in atrial fibrillation? Antioxid Redox Signal. 2015;23(8):682-687. Frøkjaer JB, Bergmann S, Brock C, et al. Modulation of vagal tone enhances gastroduodenal motility and reduces somatic pain sensitivity. Neurogastroenterol Motil.2016;28(4):592-598. Mills S, Bone K. Principles and Practice of Phytotherapy: Modern Herbal Medicine. London, England: Churchill Livingstone; 2000. Kandil TS, Mousa AA, El-Gendy AA, Abbas AM. The potential therapeutic effect of melatonin in gastro-esophageal reflux disease. BMC Gastroenterol.2010;10:7. Li Y, Barajas-Martinez H, Li B, et al. Comparative Effectiveness of Acupuncture and Antiarrhythmic Drugs for the Prevention of Cardiac Arrhythmias: A Systematic Review and Meta-analysis of Randomized Controlled Trials. Front Physiol.2017;8:358. Dickman R, Schiff E, Holland A, et al. Clinical trial: acupuncture vs. doubling the proton pump inhibitor dose in refractory heartburn. Aliment Pharmacol Ther.2007;26(10):1333-1344. Andrew Hubbard, BSc (Hons), is currently studying in his 4th year at CCNM in Toronto. He has a passion for researching, writing, and speaking on topics that include gastrointestinal, neurological, and endocrine health. 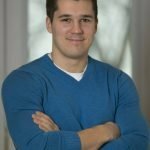 Andrew plans on opening an integrative clinic with a special interest in digestive wellness and is fascinated with designing future nutraceutical products. In between the clinic and the late-night PubMed searches, Andrew can usually be found sprinting out on the trails or at the gym re-inventing exercise to be more fun and enjoyable. Ellen Wong, BSc (Hons), ND, is an associate professor at the Canadian College of Naturopathic Medicine (CCNM), where she graduated in 2009 and completed an accredited clinical residency in 2011. Currently, Dr Wong teaches an evidence-informed therapeutics class, as well as supervises interns at the Robert Schad Naturopathic Clinic (teaching clinic of CCNM). She practices in Ontario, Canada, with a focus on cardiovascular disease, its comorbidities, and geriatric care. 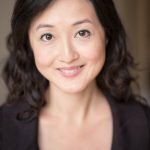 In her spare time, Dr Wong explores the culinary scenes of Toronto, is an avid reader, and tries to squeeze in some time for exercise.